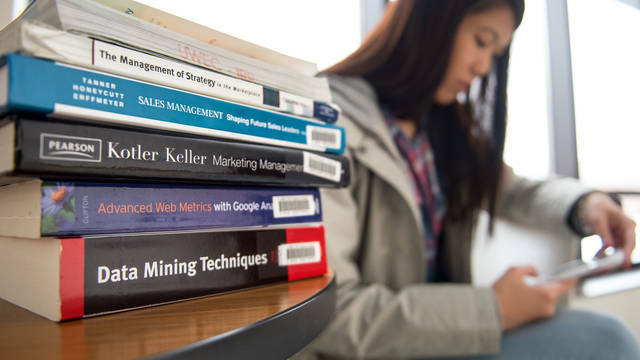 Many of your textbooks will be rentals covered by your tuition, so just bring your class list and Blugold ID when you come to pick up your books for the semester and we can assist you. In addition, our contract with Barnes & Noble College Bookstores allows us to offer the option of ordering online for delivery. When you are ready to buy or rent your textbooks, visit the University Bookstore to find all the books you need. 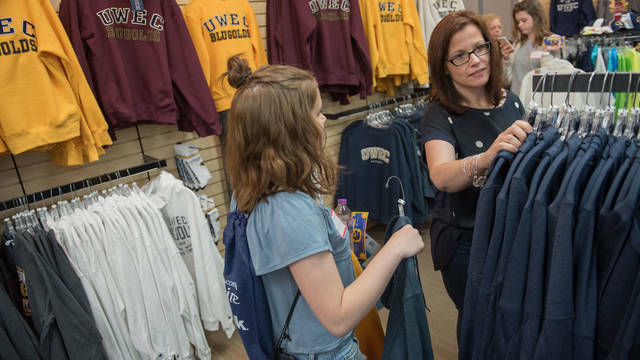 The University Bookstore sells Blugold merchandise and more. Stop by to get a new sweatshirt to rock your UWEC spirit or for those essentials you need like notebooks or pens. University Bookstore hours vary by time of year and semester.